I have an old iron as well, I got it when I was married the first time, Its a Hoover, It still works as well as it did when I got it, better than the marriage did. Someone bought me a new iron for a present at my last wedding, it quit after two uses, good thing I kept my old one. This marriage works better than the first one though, I think I’ll keep the DH. 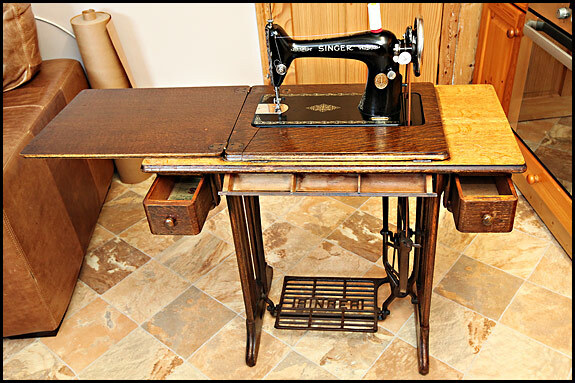 I think the iron is 40 years old now, it weighs a ton but it does the job, I keep it on my cutting table all the time. I hardly ever use the ironing board. My mother had one of “other” mangles–great for sheets and pillowcases. Interesting that many of those 60+ year old machines still work while we’re lucky to fin an iron that works for a year! Times and culture *have* changed!